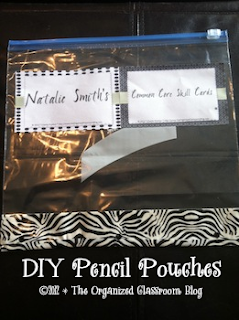 Pencil pouches don't always hold up well throughout the year in student binders, but here is an option that is inexpensive if you need to replace often. 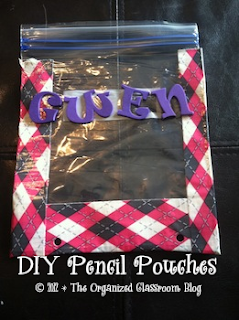 Step 1: Use duct tape to place along the bottom of the baggie on both sides. Step 2: Three-hole punch the baggie through the tape. Step 3: Insert into the binder! 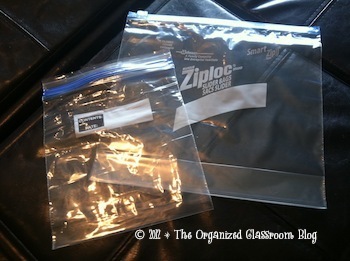 You can also place student name labels or foam sticky letters on the front in case of a lost binder or baggie as an option. 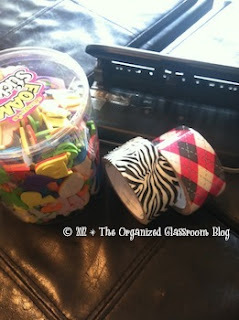 One last idea is to have students choose their own favorite tape from several you provide. It might make the buy-in even stronger. :) These are perfect for lightweight items such as flashcards or crayons.